Mike Francesa is not the savviest at social media, apparently. 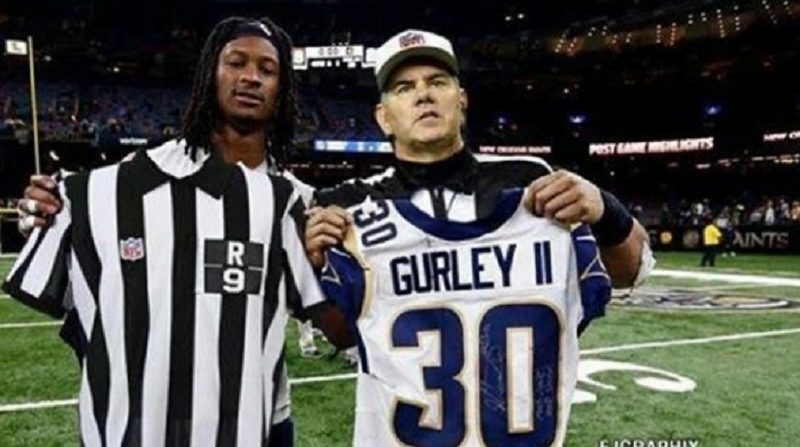 Following the Rams’ 26-23 win over the Saints in the NFC Championship Game on Sunday, Los Angeles running back Todd Gurley shared a pretty blatantly photoshopped picture of him exchanging jerseys with a referee. The joke wasn’t obvious to everyone, including noted football expert Mike Francesa. On his show Monday, while complaining about the officiating during the game, Francesa went on a tangent about (you guessed it!) referees exchanging jerseys with players. A few minutes later, presumably after giving his bank account information and social security number to the executor of a long lost cousin’s estate, Francesa broke the sad news to his audience that he confused a photoshopped picture with reality. Well thank god for that! Francesa seems like the kind of guy that takes everything he sees on social media Very Seriously, and while that gives all of us some incredible content to work with, it’s still pretty sad to see, knowing how many people like him are out there.